Remember before you make the all important decision of Buying a Golden Retriever please download these two documents and do your research. A Golden Retriever has a lifespan of up to 15-17 years of age, make sure that this breed is suitable for your lifestyle and your family. We strongly recommend you download the 2 documents below before purchasing a puppy. Remember it is important to find an ethical breeder as unfortunately all registered breeders NOT ETHICAL. Do not buy a Puppy from a Pet Store, Internet, Markets or Back Yard Breeder. Puppies supplied to Pet Stores come from Puppy Farms or Back Yard Breeders whose only intention is to make money, not to improve the breed. Imagine the conditions under which some of these dogs lives. Females are bred non-stop to make unscrupulous breeders rich! This is the daily suffering pet shop owners either do not understand or do not want you to see. How to solve this problem? The answer is quite simple – do not buy a dog from a Pet Store. Any responsible breeder will be only too pleased to let you see not only the particular puppy in which you may be interested, but the whole litter, as well as the parents. If you are not allowed to see the mother and other puppies in the litter please do not purchase a puppy from this kind of breeder. DO NOT accept picking the puppy up from anyone but the breeder. 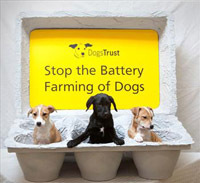 Insist on seeing their living environment – this should give you insight into how the puppies are housed and raised. If they do not let you see where the puppies are kept, they are hiding something.